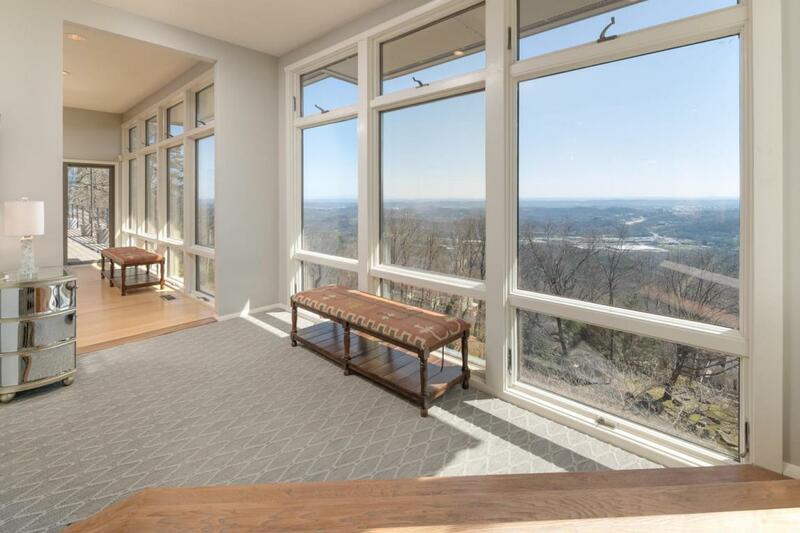 Halfway up Signal mountain sits a stunning, modern masterpiece perched along the mountain cliffs with amazing views spanning the Tennessee River Gorge, Mountains, Downtown Chattanooga and Lake Chickamauga. This horizontal home was built to afford every room dramatic views, with floor to ceiling majestic windows. Live among the clouds within the expansive open spaces, this is a once in a lifetime opportunity. 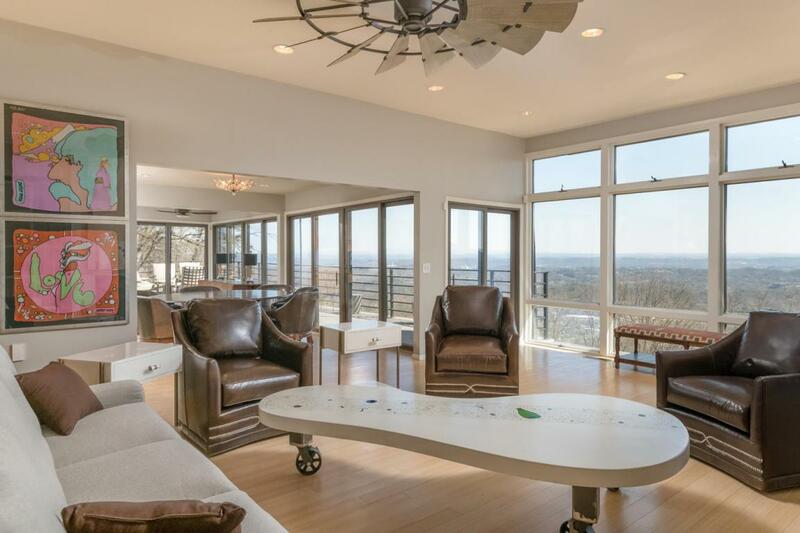 This home's indoor/outdoor nirvana experience features approximately 1,867 square feet of outdoor entertaining space, where your family and friends can enjoy a morning coffee and an evening glass of wine with year round views.Additional features of this incredible Signal Mountain property include 4 Bedrooms, 3 1/2 Baths, alongside an office or 5th Bedroom. 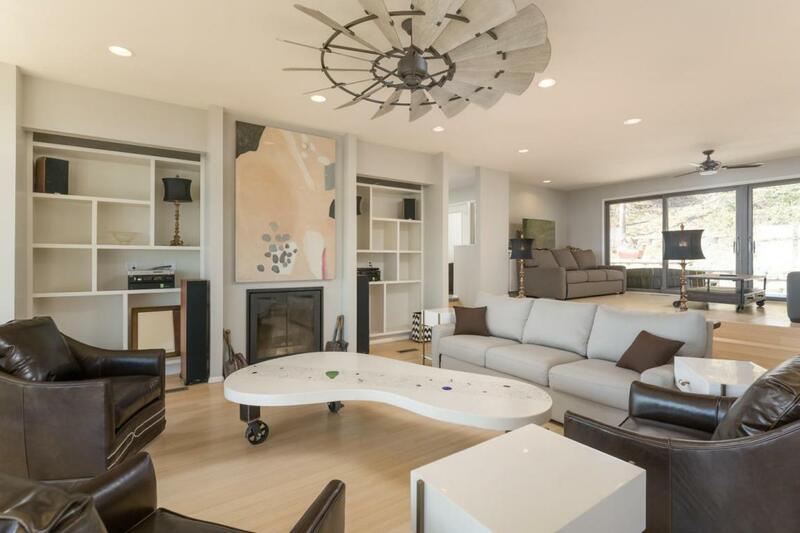 Living area with wood burning Fireplace, custom built-in-shelving and audio throughout are just a few accents. A cooks kitchen features walls of cabinets, large center island, stainless steel appliances and a commercial gas cooktop. Newly installed home elevator from the three car garages that feature stunning new glass garage doors. 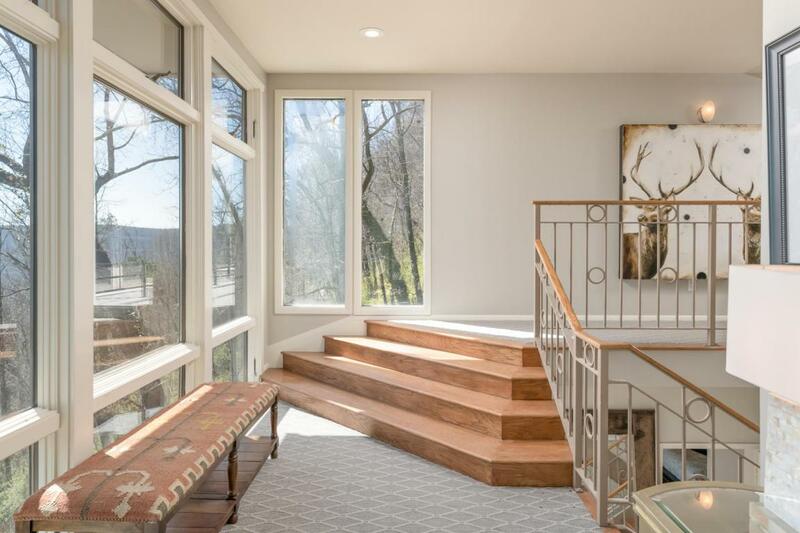 With the harmonious confluence of natural elements, craftsmanship and design, this twenty-first century mountain masterpiece offers an unmatchable lifestlye and experience for the most discerning homebuyer.